1 of 4 Heat oven to 425 degrees with a rack in bottom position and another in center. Cut each puff pastry sheet into a 9 x 9-inch square. 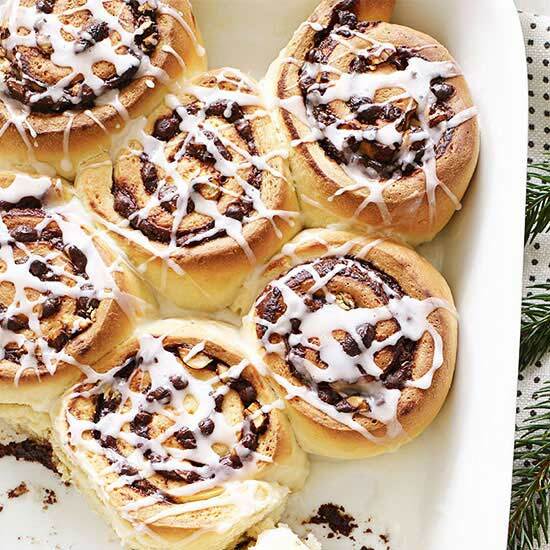 Place both on a parchment-lined baking sheet. With a fork, prick all over. 2 of 4 For each pastry square, fold in top right corner 1 inch. Fold top edge over folded corner, then fold in top left corner. Repeat on all sides. Bake on bottom rack for 10 minutes, until puffed and very lightly golden. 3 of 4 Meanwhile, slice plums into 1/4-inch-thick wedges. 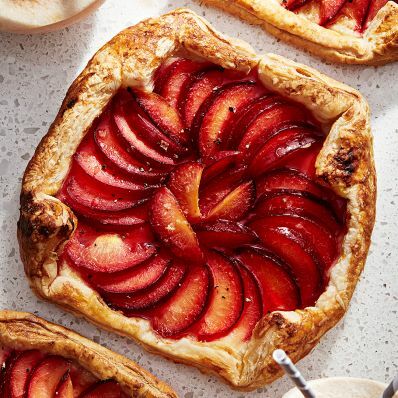 Arrange plums in center of each parbaked puff pastry in a circular pattern. Lightly brush both tarts all over with agave. Sprinkle with a pinch of pepper. Bake 8 minutes, until golden. 4 of 4 Drizzle with honey and sprinkle with salt. Let cool. Serve with Plum-Coconut Mocktail, if desired. Makes 2 tarts.